The Global Farmer’s Market: From Chilean Small Farmers to Your Breakfast Table | Small Farmers. Big Change. How many of you shop at a farmer’s market when you have the chance? Especially when you’re traveling, don’t you love stumbling upon a local farmer’s market wherever you are? What better way to get to know a new place than by seeing what food is being produced in the area, and to see, smell, and touch the products; having the chance to meet the actual growers and learn what’s involved in the cultivation and processing of the food you’ll soon be eating is an extra bonus. 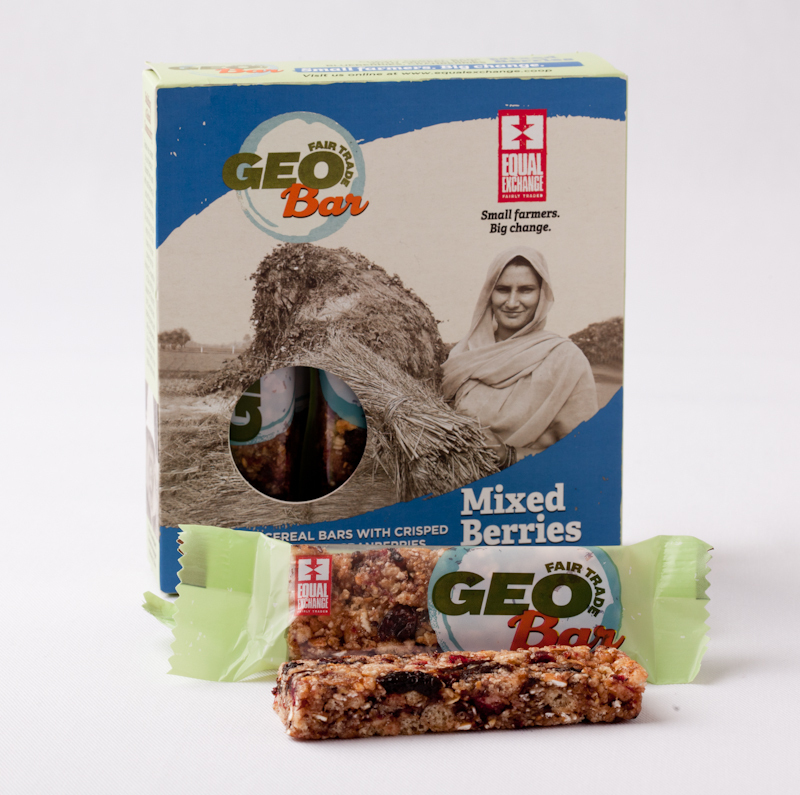 Two years ago, when Equal Exchange decided to bring Geobars into the U.S., I couldn’t help but think of this new product in much the same way: that these cereal bars were akin to walking through an international farmer’s market, where apricots from Pakistan, blueberries and honey from Chile, rice from India and Thailand, and raisins from Chile and South Africa were being presented… only in my scenario, through our Geobars, we bring the farmer’s market direct to you! We’re pleased because these new products have enabled us to partner with roughly half a dozen new groups of small farmer organizations, giving them access to the U.S market, higher prices, and fair trade premiums for social and economic development projects. Additionally, we’re excited because our system of trade is really a new form of globalization; in this case, one we’re proud of: in order to bring the Geobars into the U.S. market, we are partnering with a like-minded Alternative Trade Organization, Traidcraft, in the U.K. Geobars were first launched in the U.K. in 1999 by Traidcraft, an organization that has been working with a group of grape farmers in South Africa. Today, four of us from Equal Exchange are here in Chile, about to visit several fair trade small farmer co-operatives, one of whose products can be found in our Geobars. Our first visit is to Apicoop, a group of about 350 beekeepers and blueberry farmers that have been selling their products into the European market on fair trade terms, for the past fifteen years. The organization started in 1980 as a church project formed to help support small scale farmers trying to survive under Pinochet’s Chile. In the late 1990s, they made the decision to become autonomous and today are totally independent from the church. According to Chino Henriquez, Apicoop’s general manager, one of the greatest benefits from their participation in the fair trade market is that almost all of the 1000 children and youth whose families are members of the co-op are today able to attend school. This is our first trip to visit Apicoop and we’re both excited to be here and grateful to our friends and colleagues at Traidcraft for introducing us to these producers and partnering with us in our first venture to bring an international farmer’s market across the Atlantic direct to your breakfast table.